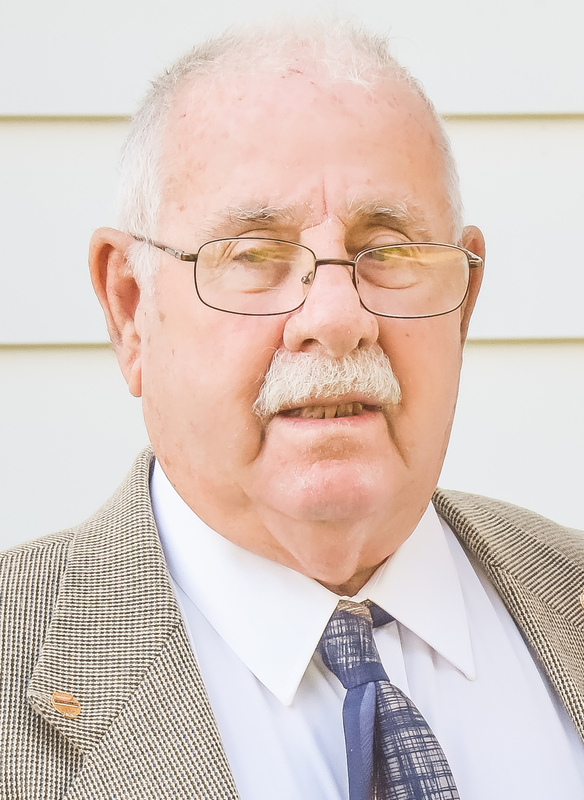 Cecil “Buck” McVey, 82 of Stonington passed away on Friday, April 28, 2017 at 3:20 p.m. at his residence in Stonington. He was born on November 4, 1934 in Mt. Auburn, IL the Son of Cecil and Helen (Ficks) McVey. He married Patricia Hancock on March 30, 1957 in Taylorville, IL. He was retired from caterpillar as a dye maker and he was a member of the Stonington Masonic Lodge #1066 AF&AM, VFW Post #6577 in Assumption and the Stonington American Legion #257. Surviving are his Wife: Patricia McVey of Stonington, IL; Son: Daniel McVey of Edinburg, IL; Daughter: Kathy (Duane) Patrick of Stonington, IL; Grandchildren: Michael (Misty) Vaughn, Nicholas Vaughn, Megan (David) Siegrist, C.J. McVey, Joseph McVey, Tom McVey; Great-Grandchildren: Corey Vaughn, Addyson Vaughn, Jaxson Vaughn, Finnley Siegrist, Dylan and Ryan Patrick, Sean and Vivianna Arass; Sisters: Mary Edwards of Willow Hill, IL; Pat Turner of Toulon, IL; Priscilla Siegel of Dallas, TX; Brother: Jim McVey of Centralia, IL; Several Nieces, Nephews and Cousins. He was preceded in death by his Parents, brothers: Dean McVey, Bill McVey, Joe McVey and LeRoy McVey. Visitation will be held on Monday, May 1, 2017 from 4:00-7:00 p.m. at Sutton Memorial Home in Taylorville with Masonic Services starting at 7:00 p.m. Funeral service will be held on Tuesday, May 2, 2017 at 10:00 a.m. at Sutton Memorial Home in Taylorville. Burial will be held in Old Stonington Cemetery in Stonington. Shirlee Scharmer Price, age 91 of Taylorville Illinois passed away Wednesday April 26th 2017 at her home with family at her side. Shirlee was born in Christian County Illinois on February 28, 1926 the daughter of Julius and Gertrude (Trelz) Herbst. She graduated from Taylorville High School with the Class of 1944 and then attended the University of Illinois. 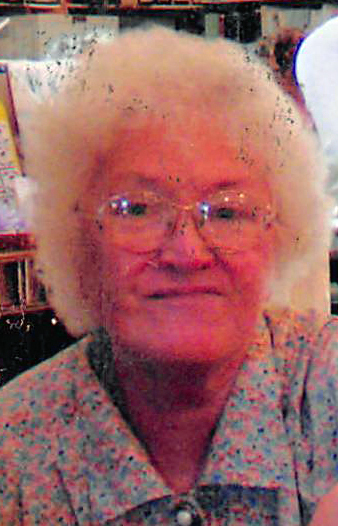 She was a member of the Taylorville First United Methodist Church. She started her career working alongside her mother at Blakely’s Department Store and later she became a buyer for Meyer’s Brothers in Springfield, Illinois. Then on March 1st 1977 she opened her own ladies apparel store “Shirlee’s” on the east side of the Taylorville Square serving the community for twenty-two years. Her motto was “Clothes Just for You”. She had a vision for fashion and design. She participated in many fashion shows for the Ladies Hospital Auxiliary. After her retirement she enjoyed volunteer work as a docent at the Abraham Lincoln Presidential Museum, reading, and traveling with friends. Surviving are her daughter, Barbara Scharmer (Larry Norris) of Taylorville, and her son, David Scharmer (Claire) of Bay City Michigan; and four grandchildren; Scott Scharmer of Lahaina, Hawaii, Jessica Scharmer of Rigby, Idaho, Christopher Scharmer of Atlanta, Georgia, and Kevin Scharmer of Bay City, Michigan; and one great granddaughter; Kyla Scharmer of Rigby, Idaho. She was preceded in death by her parents. 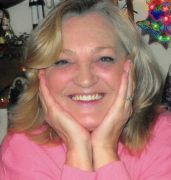 Visitation for Shirlee Scharmer Price will be held Sunday April 30th from 4:00 until 6:00 P.M. at Sutton Funeral Home. 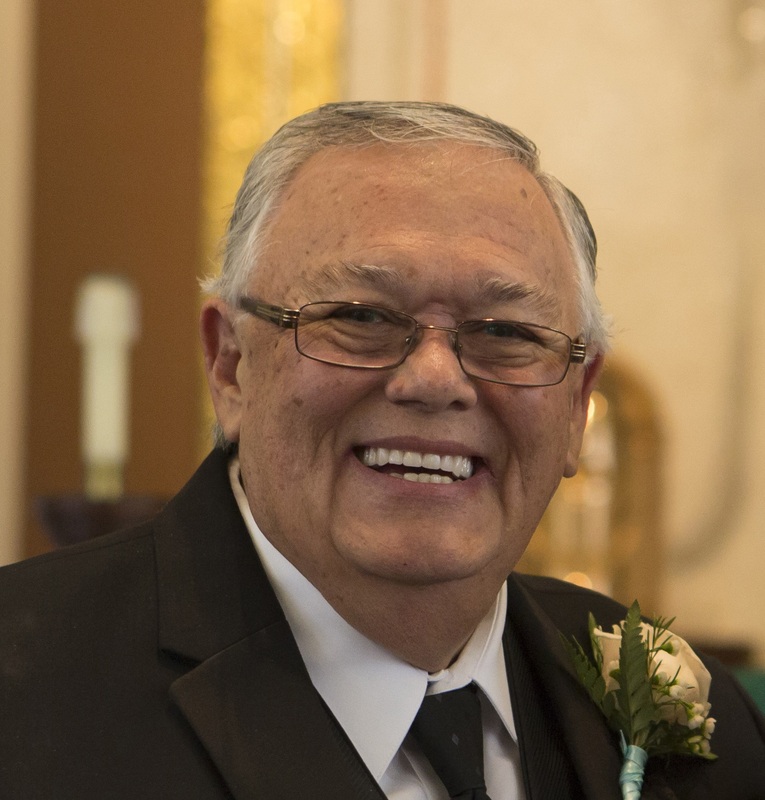 A Celebration of Life will be held Monday May 1st with a gathering of friends at 10:00 A.M. and memorial service at 11:00 A.M. at the First United Methodist Church, 200 S. Walnut St., Taylorville, Illinois 62568 with Rev. Bob Cook officiating. Burial will follow at Oak Hill Cemetery, Taylorville, Illinois. Memorials may be made in her memory to the Taylorville First United Methodist Church. Sutton Memorial Home in Taylorville is assisting the family with arrangements. Please sign our online guestbook at suttonmemorialhome.com. Melba Rae (Cairel) Burchi, 78, of Kincaid IL, passed away at 5:18 p.m. Tuesday, April 25,, 2017 at St. Marys hospital in Decatur, IL. She was born February 5, 1939 the daughter of John “Frank” and Ethel (Hurtte) Cairel. She married Albert Reno Burchi on February 11, 1958 at the Kincaid Baptist Church in Kincaid. She graduated in 1957 from South Fork High School and attended Browns Business College for two years. She was a housewife and mother. She attended Kincaid Baptist Church where she played organ during services and later joined the Edinburg First Baptist Church. Melba and Al were known to many nursing homes in the surrounding area as the “Joy Bells” where she enjoyed playing organ and singing with her husband Albert for the residents. 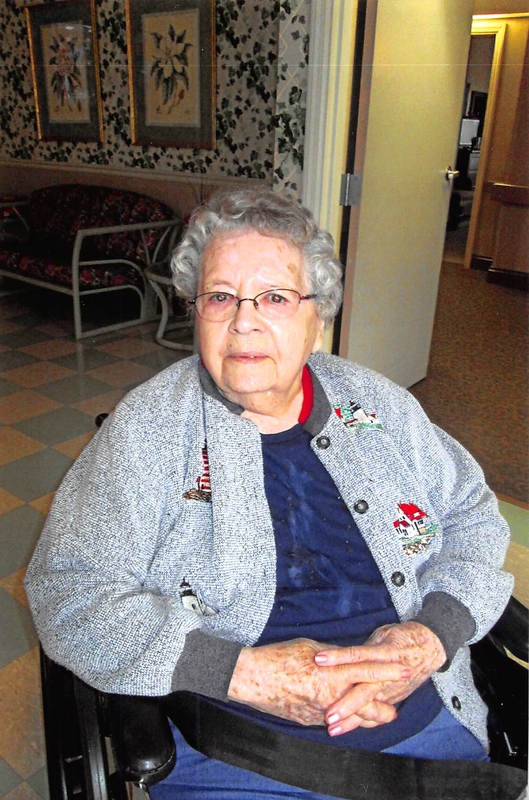 Melba enjoyed singing, dancing and spending time with her family. She also enjoyed watching Days of Our Lives and was an avid reader and news watcher. Surviving are her husband Albert of Kincaid IL, two sons Alan (Renee) Burchi and Jack (fiancée Linda Barrett) Burchi of Kincaid and one daughter Robin (Robert) Beloit of Bulpitt, IL, grandchildren Brittany, Westin, Austin and Jason Burchi of Kincaid, Bailey and Rylie Beloit of Bulpitt, and Kira Lopez of New Mexico, and 3 great grandchildren, Ronin Epps, Gabrean Lopez, and Seferino Lopez of NM and one brother Jack (Janice) Cairel of Stark, FL. She was preceded in death by her parents and one great-grandson. Visitation for Melba will be held at Edinburg First Baptist Church, Edinburg IL on Friday, April 28, 2017 at 9:30 a.m. with services to follow at 11:30 a.m. Reverend Denny Hamilton will be officiating. Burial will follow at Oak Hill Cemetery in Taylorville, IL. Mary B. Monical, 95 of Taylorville passed away on Tuesday, April 25, 2017 at 12:51 a.m. at Regency Care Center in Springfield. She was born on July 29, 1919 in Dawson, IL the Daughter of Walter Thomas and Frances M (Huff) Nation. She married George Monical Sr. on September 29, 1939 in Hannibal, MO. She worked as a homemaker and she was a member of the Edinburg United Methodist Church in Edinburg, IL. Surviving are her Sons: John M. (Donna) Monical of Cantral, IL; Randall D. (Margaret) Monical of Edinburg, IL Grandchildren: Rick Monical, Tim Monical, Duska Jo Proctor, Todd Monical and Chris Monical; Eleven Great-Grandchildren; Two Nieces and one Nephew. She was preceded in death by her Parents, Husband, Son George Monical Jr., Two Brothers Walt and Jack Nation, Sister: Alice Shawgo. Visitation will be held on Thursday, April 27, 2017 from 10:00-11:00 a.m. at Sutton Memorial Home in Taylorville. The funeral service will follow the visitation starting at 11:00 a.m. at Sutton Memorial Home in Taylorville with Pastor Caleb McGregor officiating. Burial will be held in Rose Lawn Cemetery in Springfield, IL. Memorials may be made to Edinburg United Methodist Church 102 W Douglas St, Edinburg, IL 62531. Cynthia Donovan, 68 of Taylorville passed away on Wednesday, April 19, 2017 at 1:15 a.m. at Decatur Memorial Hospital in Decatur. She was born on July 12, 1948 in Chicago the Daughter of Arthur and Helen (Bowen) Karpen. She married Kevin Donovan on September 1, 1985 in Seven Valleys, PA. Surviving are her Husband: Kevin Donovan of Taylorville, IL; Sons: Rusty Ward, Danny Ward and Ryan Donovan; Daughters: Tammy Ward, Leda Ward and Jessica Donovan; Eleven Grandchildren; four Great-Grandchildren; Sister: Leda Karpen; Brother: George Karpen and Several Nieces, Nephews and Cousins. She was preceded in death by her Parents, Son: Bobby Donovan, Sister: Dianne Franklin and Grandson: Brandon Krouse. Visitation will be held on Sunday, April 23, 2017 from 4:00-7:00 p.m. at Sutton Memorial Home in Taylorville. Funeral service will be on Monday, April 24, 2017 at 10:00 a.m. at Sutton Memorial Home in Taylorville with Pastor Grover officiating. Burial will be in Oak Hill Cemetery in Taylorville, IL. Jane B. Hafliger, 98 of Taylorville, passed away at 12:02 a.m. on Sunday, April 16, 2017 at Taylorville Care Center. 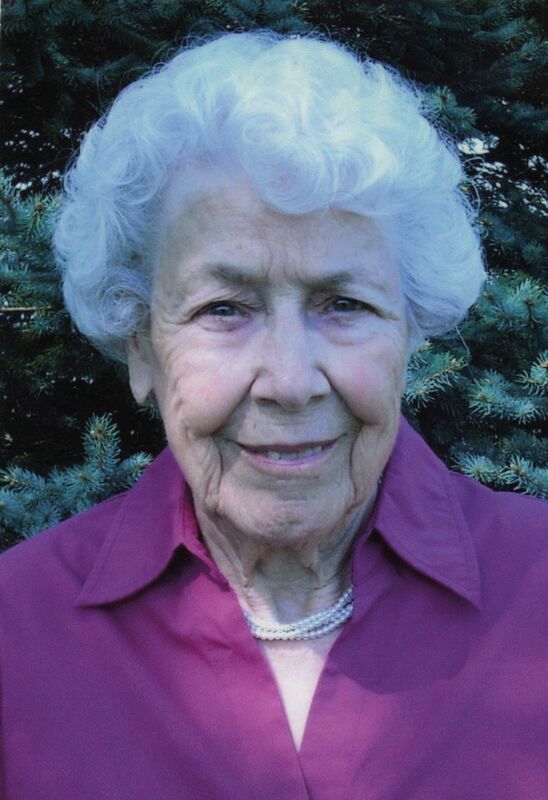 She was born on September 15, 1918 in Taylorville, the daughter of R. Homer and Winifred (Carey) Bailey. She married Keith Hafliger on October 6, 1943 in Phoenix, Arizona. He preceded her in death on March 24, 1950. Jane worked for the Sangamon Company for many years as a machine operator. 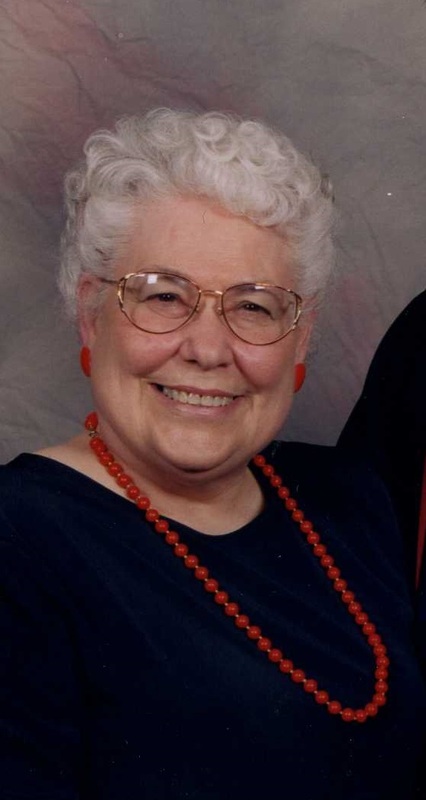 She was a member of St. Mary’s Catholic Church, the Eagles Auxiliary, VFW Auxiliary for over 61 years, and the St. Vincent Memorial Hospital Auxiliary. Jane is survived by: many nieces and nephews, including locally: Jim Noren, Marilyn Voggetzer, Barbara Pelati, and Tyrone Corso. She was preceded in death by her parents, husband, and siblings: Merle Bailey, Dwight Bailey, Mary Noren, Helen McGee, Elizabeth Corso, Winona Tipping, Lillian Bailey, Josephine Lasco, and William Bailey. Mrs. Hafliger will be cremated and inurnment will take place at Oak Hill Cemetery in Taylorville. Per her wishes, no memorial services are planned. McClure Funeral Home and Cremation Services is handling arrangements. Memories of Jane, or condolences to the family, may be left online at www.mcclurefuneralhome.com. Charles D. “Don” Blakley, 95 of Taylorville passed away on Wednesday, April 12, 2017 at 6:29 a.m. at St. John’s Hospital in Springfield. He was born on June 5, 1921 at home on the farm in Pike County, IL, the Son of James H. and Elsie (Kimball) Blakley. He married Beulah G. Staufenbiel on August 8, 1944 in Norfolk, VA. 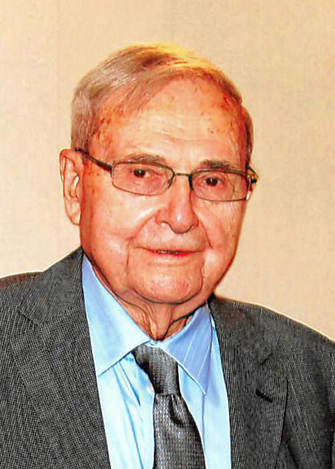 He was a veteran of WWII in the United States Navy and he later worked as a machinist at Hopper Paper Co and Georgia Pacific for 43 years. Charles enjoyed gardening, reading and woodworking. He made many beautiful pieces for his grandchildren and great- grandchildren. He was a member of St. Mary’s Catholic Church, Knights of Columbus Taylorville, IL, Son of American Revolution and VFW Post #4495. Surviving are his Wife: Beulah G. Blakley of Taylorville, IL; Daughters: Jean C. Davidson of Mattoon, IL, Lois A. (Terry) Ryan of Taylorville, IL; Son: David C. Blakley of Taylorville, IL; Grandchildren: Andrea (Dan) Bryan of Webster Groves, MO; Darcy Tavine (Fiancé Bob Hammitt) of Cantrall, IL; James W. (Whitney) Davidson of Arvada, CO; Aimee (TJ) Bates of Taylorville, IL; Thad D. Ryan (Fiancée Kayla Mager) of Fisher, IN; Great-Grandchildren: Mason, Ryan and Ella Bates of Taylorville, IL; Max Tavine of Cantrall, IL, Penelope Davidson of Arvada, CO; Nephew: James (Linda) Blakley of Taylorville, IL; Cousins: Larry (Beverly) Schultz of St. Louis, MO; Aldene Drury of Florissant, MO and many other Nieces, Nephews, great Nieces and Nephews. He was preceded in death by his Parents, Sister: Marie Flemming, Brother: Everett Blakley. Visitation will be held on Saturday, April 22, 2017 from 10:00-11:00 a.m. at St. Mary’s Catholic Church in Taylorville. The funeral Mass will follow the visitation starting at 11:00 a.m. at St. Mary’s Catholic Church in Taylorville with MSGR David S. Lantz officiating. Burial will be held in Rosemond Grove Cemetery in Rosamond, IL with military graveside honors. 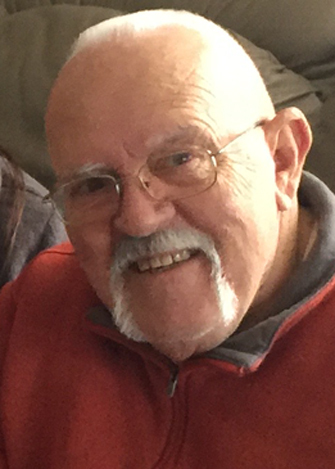 Charles Walker, 79 of Kincaid passed away on Monday, April 10, 2017 at 2:50 p.m. at Vibra Hospital in Springfield. He was born on November 6, 1937 in Taylorville, IL the Son of Russell and Florence (Coffey) Walker. He married Sharleen Simar on September 1, 1962 in Washington, DC. Charlie was a retired U.S. Navy Veteran and later was an animal nutritionist. He was a member of the Kincaid Church of God, Morrisonville Masonic Lodge # 0681 AF & AM Morrisonville, IL and Ansar Shrine of Springfield, IL. Surviving are his Wife Sharleen of Kincaid, IL; Son: Jeff (Celine) Walker of Morrisonville, IL Daughter: Stephanie (Rob) Mulvaney of Kincaid, IL; Grandchildren: Cecilia (Scott) Cain of Altenburg, MO, Trey (Chloe) Mulvaney of Tovey, IL, Gale Mulvaney (Fiancé Stephanie Siegrist) of Harvel, Tyler Walker (Sydney Hancock) of Taylorville; Great-Grandchildren: Sage Lee Marie Mulvaney, Lettie Marie Mulvaney; Sister-in-Law: Rita Walker of Chatham, IL; Brother-in-Law: Henry (Marilyn) Minneboo of Merritt Island, FL; Nephews: Mark Law (Jack Waldridge) of Crawfordsville, IN; Bill (Laurel) Law of Chatham, IL; Steven Keagle (Emily Herbert) of Coco, FL; Niece Sarah Simar of Buena Vista, VA and Several Cousins. He was preceded in death by his Parents, Sisters: Janet and Susan Walker and Brother: Michael Walker. Visitation will be held on Monday, April 17, 2017 from 10:00-11:00 a.m. at Kincaid Church of God in Kincaid. The Celebration of Life service will follow the visitation starting at 11:00 a.m. at Kincaid Church of God in Kincaid with Pastor Jacob Skelton officiating. Inurnment will be held at a later date. Memorials may be made to the Kincaid Church of God Building Fund 120 Market St. Kincaid, IL 62540. Patricia Ann Stephens, 83 of Taylorville passed away on Sunday, April 9, 2017 at 9:39 a.m. at Taylorville Memorial Hospital in Taylorville. 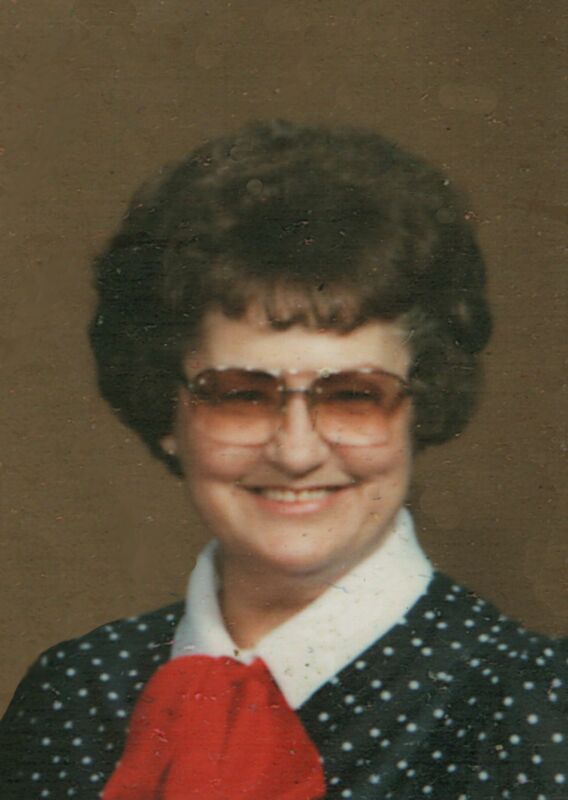 She was born on January 1, 1934 in Taylorville, IL the Daughter of Duard and Wilma (Hill) Lamb. She worked many positions at the Christian County Historical Society in Taylorville. Surviving are her Sons: Richard (Melinda) Stephens of Taylorville, IL; William Stephens of Taylorville, IL; Grandchildren: Ann, Becca, Audrey, Jessica, Emily, Sarah, Braiden; Nine Great-Grandchildren; Sister: Willnita (Gene) Yonker of Taylorville, IL; Brothers: D.W. (Kathy) Lamb of Taylorville, IL, John (Nancy) Lamb of Grand Rapids, SD; Several Nieces, Nephews and Cousins. She was preceded in death by her Parents, Son: Douglas Stephens and Daughter: Deborah Goodall. It was Patricia’s wishes to be cremated and have a private family graveside service at a later date at Oak Hill Cemetery in Taylorville. 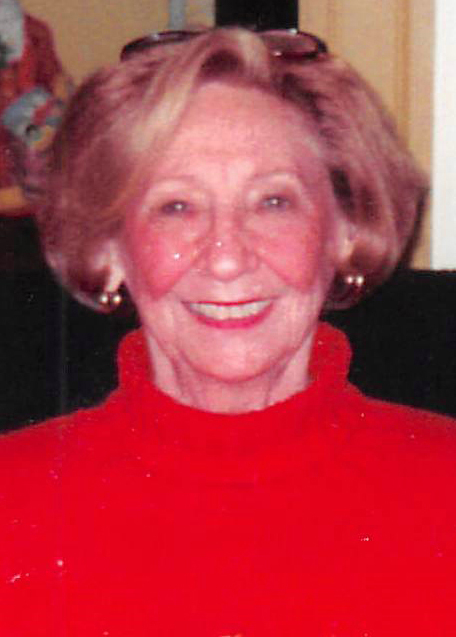 Mary June Hardy, 92, of Mt. Auburn passed away at 3:50p.m. on Wednesday, April 5, 2017 at Decatur Memorial Hospital. She was born on July 2, 1924 in rural Mt. Auburn, the daughter of Henry and Mary Eva (Hupp) Higgins. She married Morris “Mose” Hardy in September 17, 1948 in Mt. Auburn. He preceded her in death on January 8, 1989. June was a homemaker, farmed alongside her husband, and previously worked at the Illiopolis munitions plant as part of the war effort. She was a member of the Mt. Auburn Church of Christ, Mt. Auburn Lioness Club, and the Mt. Auburn Community Club. June loved flowers and enjoyed not only growing, but also arranging them. When she was younger, she worked towards earning her pilots license. She was an avid fan of the St. Louis Cardinals. She is survived by her sons: Gene Hardy (Virginia) and Steve Hardy (Barbara) both of Mt. Auburn; daughter: Becky Hardy (Kristen) of Indianapolis; grandchildren: Carole Ringler (Brian) of Mt. Auburn, Krista Squires (Tim) of Mt. Auburn, Derek Hardy (Victoria) of Barrington, and Chris Hardy (Lynn) of Carol Stream; step-grandchildren: Derek Tschosik and Kaitlynn Tschosik both of Indianapolis; great grandchildren: Mitch Ringler, Lanae Ringler, Kassidy Squires, Braeden Squires, Lola June Hardy, Peyton Hardy, Caleb Hardy, and Jaxon Hardy; great-great granddaughter: Elle Ringler; and several nieces and nephews. She was preceded in death by her parents; husband; sister: Josephine Ferguson; and brother: Wayne Higgins. Bonita “Bonnie” Lancaster, 87, of Taylorville passed away at 1:05 p.m. on Friday, March 31, 2017 at Life’s Journey Senior Living in Taylorville. She was born on July 23, 1929 in Mt. Auburn, the daughter of Walter A. and Maggie (Bramel) Butcher. On October 23, 1948, she married William F. Lancaster in Taylorville, and he preceded her in death on April 19, 2016. Bonnie retired from the State of Illinois after 35 years of service, including years working as secretary to Governor and Mrs. Jim Thompson and personal secretary to the clerk of the Illinois Supreme Court. She was a member of Grace Baptist Church in Taylorville. Bonnie taught Sunday School for over 40 years. Bonnie and Bill loved dogs and cared for many over the years. She enjoyed crafts and sewing and was known for her candy making, pie baking, and Swedish meatballs. Bonnie had a wonderful sense of humor. Bonnie is survived by several nieces, nephews, great nieces and nephews, and great great nieces and nephews as well as her faithful companions: Marsha and Rhoza. She was preceded in death by her parents; husband; siblings: Homer Butcher, Irene Williams, Kenneth Butcher, Earl Butcher, and Derrell Butcher; and brother-in-law: Jim Lancaster. Robert “Robbie” Lee Dees, 69, of Kincaid, passed away on Monday, April 3, 2017 at 10:40 a.m. at Memorial Medical Center, surrounded by his loving family. Robbie was born April 12, 1947 in Taylorville, IL, the son of Louis and the late Roberta Broccardo of Kincaid and the late Leon Dees of Taylorville. He married Gail Bryan on December 30, 1967 in Taylorville. Robbie was a proud and loving Papa to his four daughters, 5 grandsons and 2 granddaughters. Robbie was a graduate of Kincaid High School and obtained his Bachelor and Master Degrees from University of Illinois-Springfield. He was a veteran of the United States Navy for 9 years. He worked at Peabody Coal Mine #10 for over 20 years, the State of Illinois for 14 years, and recently enjoyed substitute teaching during his retirement. Robbie loved his family more than anything else. He also enjoyed Navy submarine reunions, being a member of the Silent Service Motorcycle Chapter, past member of the Springfield HOG Chapter, riding his Harley Davidson, traveling with his wife, Cardinals baseball, the Fighting Illini and his painting ladies. Survivors include his wife, Gail; daughters, Carrie (Brad) Molohon of Taylorville, Heather (Greg) Farwell of Iowa, Shannon (Jeff) Harrison of Pawnee and Courtney (Jared) Haselhorst of Taylorville; grandchildren Hunter and Hayden Molohon, Maura and Lyla Harrison, Braxton and Landon Farwell, and Jack Haselhorst; father, Louis Broccardo of Kincaid; sisters, Diana (Gerald) Pittro of Chicago, Deb (Gary) McConnell of Kincaid, Sherrie (Don) Torricelli of Trenton, Michelle (Bob) Billings of Pennsylvania, Lisa (Chuck) Engeling of Taylorville and Pat Dyer of Taylorville; brother, Louis (Lisa) Broccardo II of Kincaid. He was preceded in death by his mother Roberta, father Leon, grandparents, and mother and father-in-law. Visitation: Family will receive friends from 4:00-7:00 p.m. on Wednesday, April 5, 2017 at Masterson Funeral Home in Kincaid, IL. Funeral Mass: 11:00 a.m. on Thursday, April 6, 2017 at Church of St. Jude in Rochester, IL. Burial will follow at Morrisonville Cemetery, Morrisonville, IL. Marietta Murphy-Anderson, 75 of Taylorville formerly of Pana passed away on Sunday, April 2, 2017 at 12:53 p.m. at Memorial Medical Center in Springfield. She was born on April 28, 1941 in Taylorville, IL the Daughter of Homer and Norma (Hubbard) Murphy. She married J. Michael Anderson on September 2, 1962 and he later preceded her in death in March of 1995. Marietta worked as the Deputy City Clerk of Pana for 17 years, she was a Christian County 911 dispatcher for 9 years, and she served as the township supervisor for Pana. She was a member of Taylorville Christian Church in Taylorville, Eastern Star Arcana Chapter in Pana, Moose Lodge #1516 in Taylorville, American Legion Ramsey and was a member of the red hats in Pana. Surviving are her Daughters: Julia England and companion Alvin Abbott of Taylorville, IL; Grandchildren: Dylan and Bethany Beeson both of Pana, IL; Brothers: Harold (Verna) Murphy of Rives, TN; Jim (Marilyn) Murphy of Taylorville, IL Several Nieces, Nephews and Cousins. Marietta was also much loved and will be dearly missed by many members of the Hebenstreit Family. She was preceded in death by her Parents, Husband and her Brother Robert Dean Murphy. Visitation will be held on Wednesday, April 5, 2017 from 4:00-7:00 p.m. and also one hour prior to the funeral services at Sutton Memorial Home in Taylorville. Funeral service will be on Thursday, April 6, 2017 at 11:00 a.m. at Sutton Memorial Home in Taylorville with Pastor James Jones officiating. Burial will be held in Linwood Cemetery in Pana, IL. Memorials may be made to Loaves and Fishes Food Pantry P. O. Box 533 Pana, IL 62557 or to Taylorville Christian Church missions 1124 N. Webster St. Taylorville, IL 62568. Frances June Eson, 87 of Taylorville passed away on Saturday, April 1, 2017 at 2:13 a.m. at Memorial Medical Center in Springfield. She was born on June 15, 1929 in Coffeen, IL the Daughter of Samuel and Corda (Hickman) Snider. She married Lowell Dale Eson on September 11, 1949 in Coffeen, IL. She worked as a homemaker. In honor of June please wear red to the service in her remembrance. 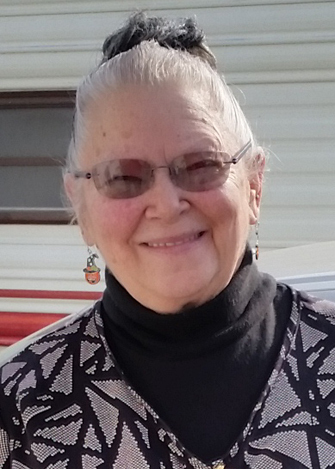 Surviving is her Daughter: Phyllis (James) Jachino of Taylorville, IL; Grandchildren: Jill and Hannah Jachino of Taylorville, IL; Several Nieces, Nephews and Cousins. She was preceded in death by her Parents, Husband, Brothers Eldon Snider and Clifford Snider, Sisters: Louise Whitten, Ruth Greenwood, Nellie Reineke, Jane Snider. Visitation will be held on Tuesday, April 4, 2017 from 5:00-7:00 p.m. at Sutton Memorial Home in Taylorville. Funeral service will be held on Wednesday, April 5, 2017 at 11:00 at the First United Methodist Church in Taylorville with Pastor Becky Lembke officiating. Burial will be in Oak Hill Cemetery in Taylorville, IL. Delmar Oats, 70 of Taylorville passed away on Wednesday, March 29, 2017 at 10:55 a.m. at Memorial Medical Center in Springfield. He was born on April 3, 1946 in Taylorville, IL the Son of Delmar and Mary Jean (Miller) Oats. He married Patricia Tucker on April 6, 1966 in Taylorville, IL. He worked as a laborer for local #159 in Decatur, IL. Surviving are his Wife: Patricia Oats of Taylorville; Son: Rick Oats of Taylorville, IL; Daughters: Cynthia Penkala of Chicago, IL; Grandchildren: Nikki Stone, Patrick Penkala, Kourtneigh Oats, Kaleb Oats; Great-Grandchildren: Jayden Stone, Ryker Ryland, Jayce Felton, Riggs Felton, Colton Penkala; Brother: Dennis (Stella) Oats of Taylorville, IL; Several Nieces, Nephews and Cousins. He was preceded in death by his Parents. Visitation will be held on Monday, April 3, 2017 from 10:00-11:00 a.m. at Crossroads Apostolic Church in Taylorville. The Memorial Service will follow the visitation starting at 11:00 a.m. at Crossroads Apostolic Church in Taylorville with Pastor Jason Hoffman Officiating. Inurnment will be held at a later date. Memorials may be made to Crossroads Apostolic Church 212 Jaycee Dr. Taylorville, IL 62568 or to Gift of Hope 2401 Memphis Dr. Springfield, IL 62702.